Christian News and Information Institute, Inc. GLOBAL NEWS ALLIANCE: The image above is from Operation Blessing's report on their relief work in hurricane-battered Puerto Rico. It's one of the stories we've recently added for broadcasters who have joined the GNA. 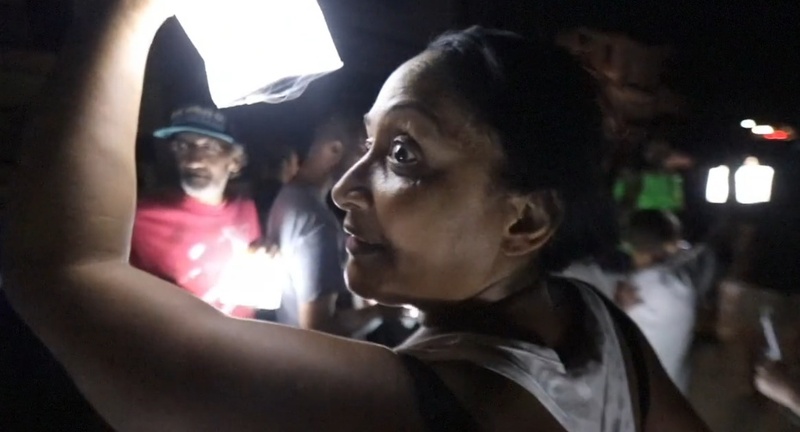 The lady in the picture has just received a solar-powered light in one of the many neighborhoods without electricity. The Global News Alliance is a news exchange powered by Christian reporters, citizen journalists, producers and media-equipped ministries who want to provide media outlets with Christian news stories they cannot get from other sources. See more at www.GNA.news. 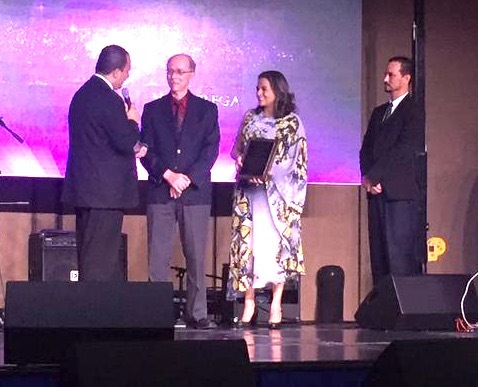 NRB: I'm pleased to serve with the International Committee of National Religious Broadcasters. This year in Orlando, we organized a Great Commission Summit for the first day of the NRB convention. Steve Douglass, President of Cru, gave an amazing overview of progress in taking the gospel around the world. And Rita Elmounayer, a top executive for SAT-7 gave us reasons for hope as the gospel penetrates the Middle East by satellite. Read the full report from NRB here. At the 2016 NRB Convention in Nashville I was honored to receive an award--the NRB Milestone award. Fifty years of working with Christian media--a tribute to God's grace and my wife's uncompromising support. This year we emphasize our connection to Cuba. Yes, that's me getting into a beautifully preserved '54 Chevy taxi in downtown Havana! Just one of the thousands of classic American cars still running on the island! "Eight stories that can transform your life" Promotion for the Power To Transform book in Havana. CUBA: I'm especially excited to work with the churches in Cuba because this is my birthplace--my parents were missionaries here--and I had only been back a time or two since leaving as a child. 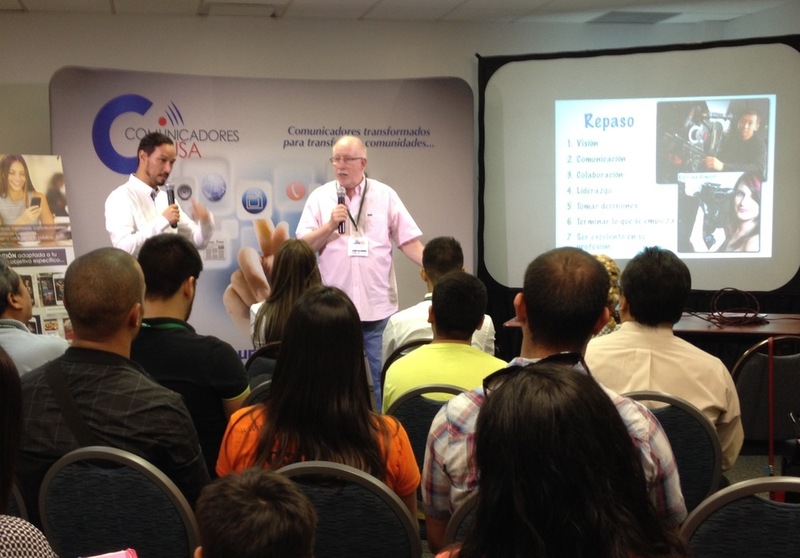 I was called over a year ago to help lead the extraordinary Power To Transform (PTT) evangelistic campaign in Havana. The project called for a half-dozen coordination trips to Cuba. 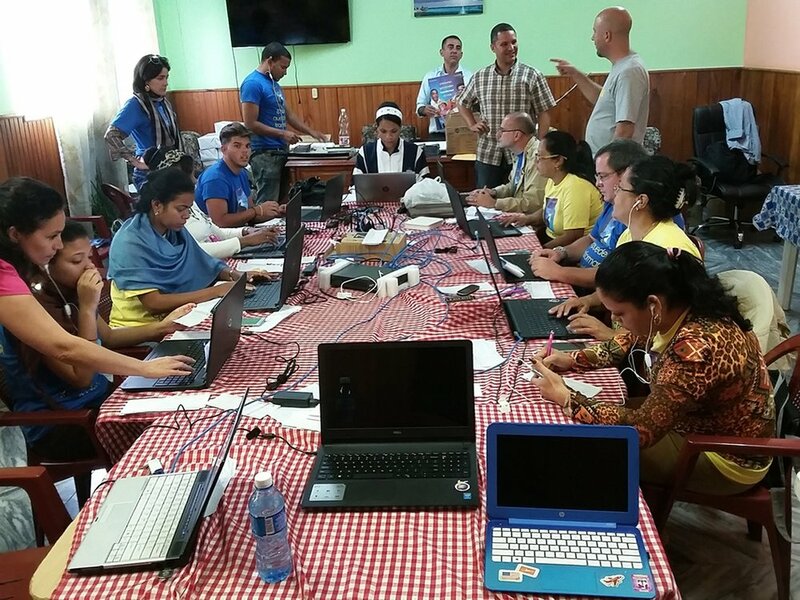 This past May we wrapped up the two-month project, distributing 150,000 PTT books with testimonies of Cubans whose lives have been changed by God. 400 churches participated, and thousands of new believers have been added to Havana's churches. The campaign was sponsored mainly by Great Commission Media Ministries out of Finland. We are grateful for our CNI friends who contributed to sponsor campaign concerts and other events. My calling for over 50 years has been to communicate the gospel through the media. Twenty six years ago I created the CNI Institute to launch Christian TV news programs, train communicators, and support international media projects. In our photo gallery (see Images tab, above) you'll see some of our many involvements in recent years, both personally and through CNI. I encourage you to follow our exciting new developments in our CNI newsletters. Please subscribe by writing to info@cni.institute. And thanks for partnering with us through CNI! Doing a quick VO in Havana. Power To Transform campaign promotion in Havana, Cuba. 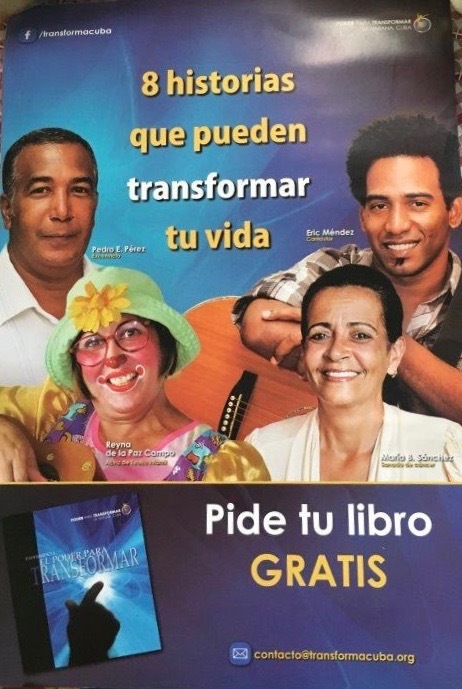 Promotion flyer for Power To Transform campaign in Havana, Cuba.